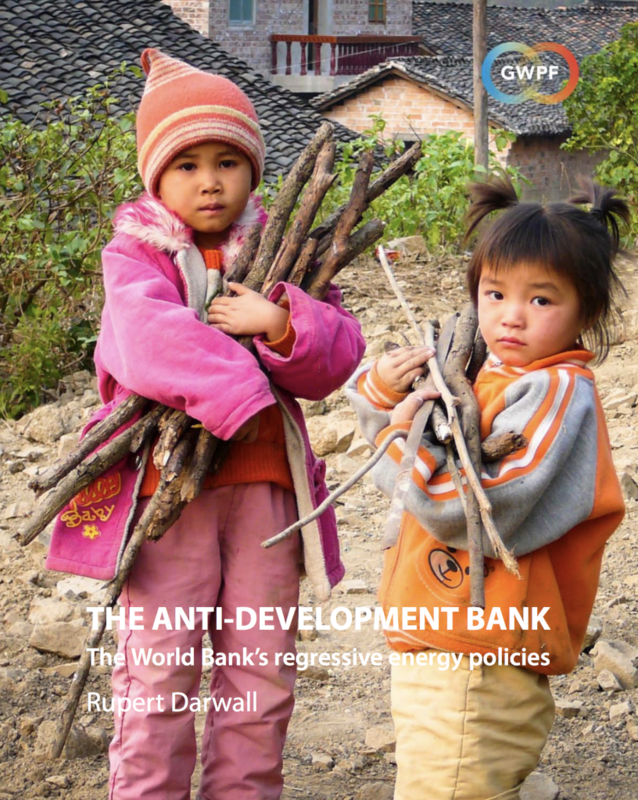 A new report: The Anti-Development Bank: The World Bank’s Regressive Energy Policies by the London-based Global Warming Policy Foundation (GWPF) finds that the World Bank has abdicated its primary mission of tackling poverty in the developing world. The report, written by author and former Treasury adviser Rupert Darwall, with a foreword by the distinguished economist and former World Bank research administrator, Professor Deepak Lal, comes as ministers travel to Washington, DC to attend the annual World Bank meeting. The report finds that the bank’s energy policies are hurting development and making poor countries poorer. By embracing high-cost, low-reliability renewables and restricting clean coal financing, the World Bank is guilty of “an inhumane and senseless attempt to try and save the planet on the backs of the world’s poor,” Darwall says. In line with the demands made by developing countries, he argues that the World Bank should lift its 2013 ban on financing coal-fired power stations and help the world’s poorest by supporting the next generation of low-emission power stations. He calls on the World Bank to abandon what he says is “its damaging advocacy of renewable energy for countries that can ill afford the costs and risk of flawed technologies that rich countries have yet to solve”.